In today’s world, nearly every buyer begins their home search online. Your photos are your introduction to the world. They must make a statement. I only use professional photography for all of my sellers. Depending on the property, I always do a full floorplan for the entire property and sometimes I will do a 3D tour as well. 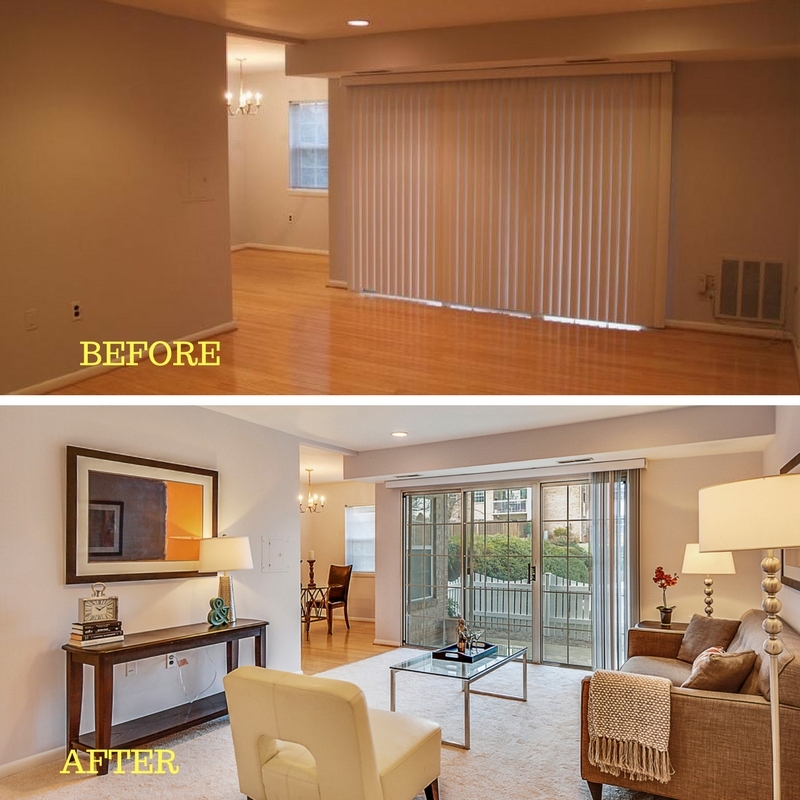 If the property needs it, I also have reliable staging companies who can provide a few small details to a whole house staging. 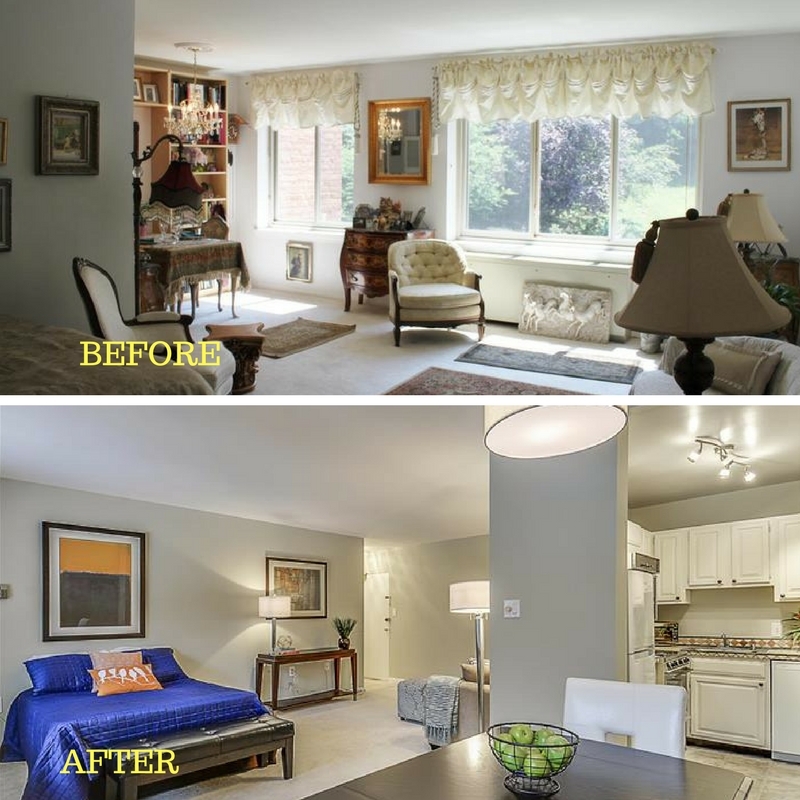 Here are some examples of before and after photos with staging. Before photos were taken while the seller was still living there. We couldn’t sell it while it was listed with these photos. After much convincing, she agreed to stage it and we redid the photos (and painted). She got multiple offers in a weekend and sold it for over asking.